The task of moving an entire library consisting of hundreds or even thousands of books demands an exceptional degree of care, attention to detail, and organization. Rather than investing all the time and patience needed to ensure a smooth transition, why not consider working with an experienced and specialized team of Worcester library movers to make your move easier? 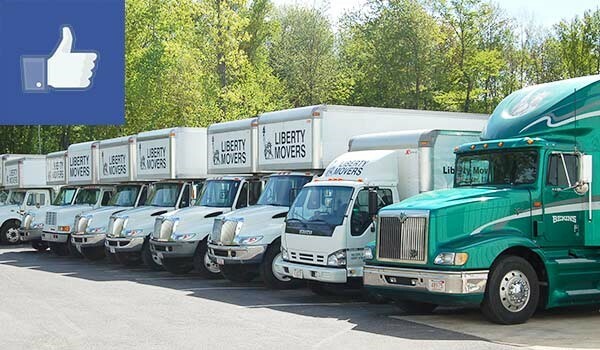 Liberty Movers is a library moving company with decades of experience. In fact, we have been providing trusted moving services since 1920, so we have had plenty of time to perfect our services! A project manager will be assigned to handle all communication and planning specific to your move, so you’ll always have a reliable point of contact for questions and concerns. Our staff pays close attention to detail during every stage of the move. If you find yourself in need of temporary or long-term storage for your books or equipment, rest easy knowing that we offer safe and secure storage facilities. Our proven processes and specialized equipment, such as library carts, allow us to handle the unique nature of this type of move with ease. When necessary, we also offer services to knock down and set up shelving. In order to ensure an organized and successful move, we utilize a special tagging and inventory system, so that your books can be put right back on the shelves in perfect order. Instead of being overwhelmed by a mountain of books, allow our Worcester commercial movers to handle every aspect of your library move. To begin planning your big move, contact us to learn more about the services we offer and to request your free no-obligation quote.